Are you in the process of developing a marketing plan for your brand? If your brand is a new face in your industry, now is an excellent time to invest in various forms of brand exposure. While marketing your brand and services on your own may seem like an easy task, many business owners find themselves in need of help later on. Are you in the process of developing a marketing plan for your brand? Consider the many reasons why experiential marketing services by Formost are crucial for your brand in 2019. Because of its ability to combine events with positive experiences of your brand, experiential marketing generates great content for your social media and online presence. In working with the marketing and communications efforts of your brand, experiential marketing utilizes all of your branded materials to create a well-rounded presence of your business for your target customer. 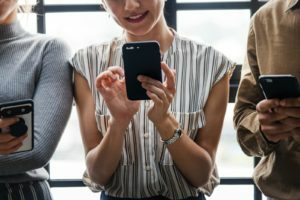 With social posts, photos, and videos, you can easily share experiences of these events while also allowing them to be re-shared through various social media channels. By engaging in events and sharing these events across social media and your website, experiential marketing also provides your target audience with an authentic image of your brand. Rather than an inaccessible source of information surrounding your business, experiential marketing connects you with your target audience directly while also expanding your reach in the industry. One of the best aspects of experiential marketing is that you can easily customize your efforts to fit the size of your organization. With this, brands of any size can develop opportunities for their target audience to experience their brand, connecting directly with their audience almost immediately. No matter how large or small your organization may be, experiential marketing can be reconfigured to fit the exact needs of your business. Trust FORMost for Your Marketing Needs Today! This entry was posted on Friday, March 22nd, 2019 at 4:27 pm. Both comments and pings are currently closed.